A saree is arguably the classiest outfit to wear whether it be to a dinner or a wedding and it never goes out of style. However, the otherwise traditional saree has in recent times seen designers experimenting with it and replacing the petticoat with pants and shalwars and the blouse with crop tops giving it a modern twist. 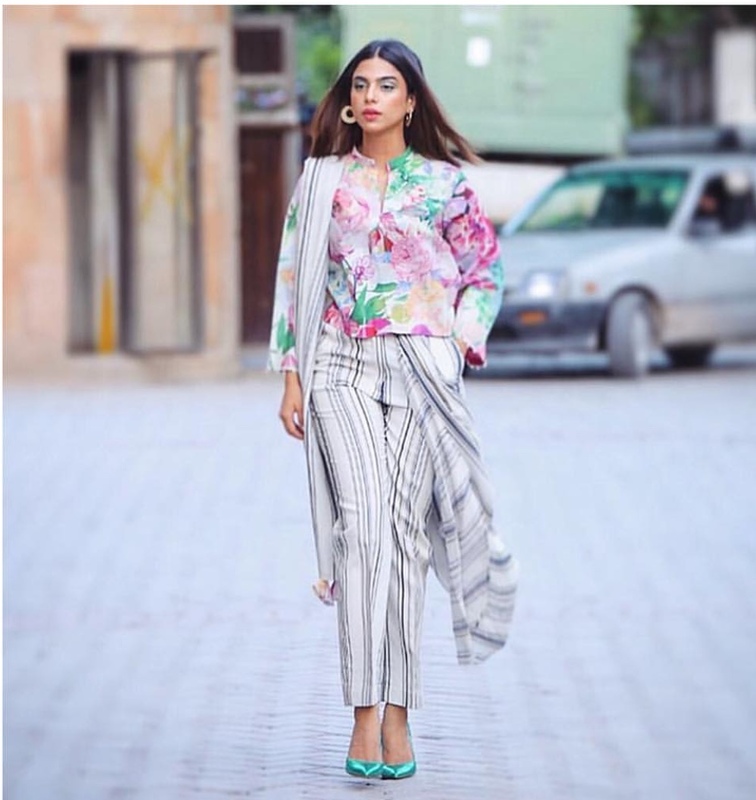 The saree pant has been all the rage these days and several Pakistani celebrities have been seen sporting the chic outfit. Pakistan’s sweetheart Mahira Khan makes every outfit look good and hits all the right style notes every time she steps out. This time it was no different as the superstar donned an all-white Elan saree pant which exuded class and glamour. Not just the pant but the blouse also gives the outfit an edgy and modern twist. This saree pant can be worn to a reception or a valima and you can dress it up with jewels like Mahira has. 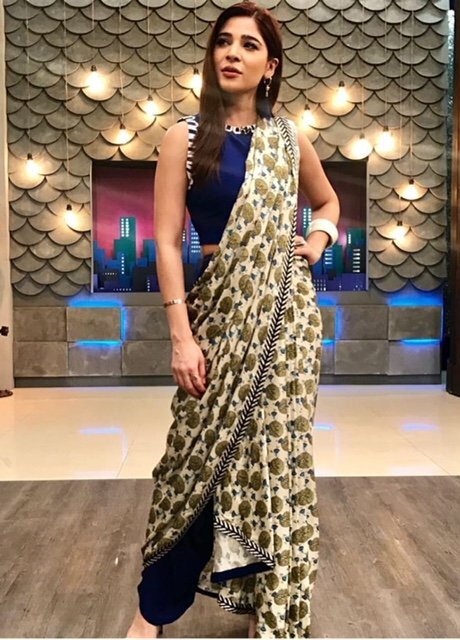 Sonya Hussyn nails print on print in this Zara Shahjahan saree pant which screams high-fashion casual. The floral blouse goes perfectly with the black and white striped pants. The refreshing look which is perfect for the summer can be worn to a lunch or a tea. 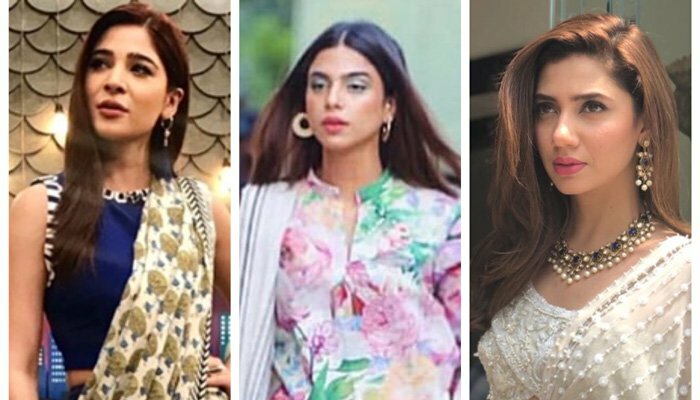 Ayesha Omar is arguably one of the most stylish Pakistani actresses and is always bang on trend. The actor was recently seen in a printed Sania Maskatiya saree pant which she pulled off fabulously. Ayesha ditched the pants for a shalwar which made the outfit look more traditional. The royal blue blouse and shalwar added oomph to the printed white and olive green saree which also screams high-fashion casual. This outfit is perfect for a lunch, tea as well as a dinner or even a mayun/ dholki.